Yesterday, I was doing some light carving. It occurred to me that I should stop and get protective eyewear, like you do. Except, when I stood up, I blinked, and there was something in my eye already. After several water flushes, a phone call or two, and some praying, I ended up needing a trip to the local ER. They put dye in it, and pulled at it a lot, and poured over a liter of saline in there, while holding my eye open. They never found anything. Apparently, I managed to get it out at home. I did have some corneal scratches though, so I was prescribed some antibiotic eye drops. P.S. 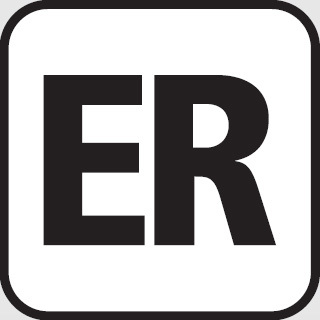 Since when is it an Emergency “Department” instead of Emergency “Room?” I mean, the new terminology is more accurate and descriptive, but it’s so much easier to say ER, rather than saying ED, and people thinking you are talking about Erectile Dysfunction. Ouch! I’m glad it wasn’t more serious. When I was 15 I was curling my bangs (big hair 90s, yo) and I somehow managed to drop the curling iron directly into my eyeball! So, I can sympathize with the injured eye thing.